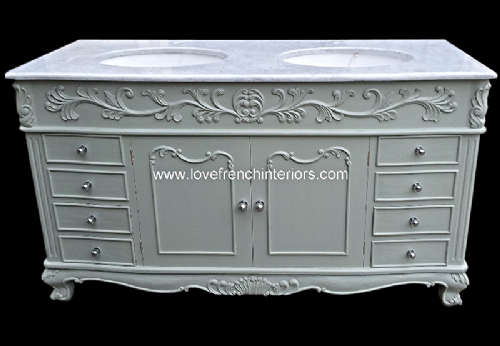 Our large Bespoke Bow Front French Vanity Unit with a single bowl can be painted to the colour of your choice as all painting is completed by hand in the UK. The gold highlights shown are an optional extra. With detailed carvings to the front and sides it has practical slightly bow fronted storage drawers separating each cupboard. 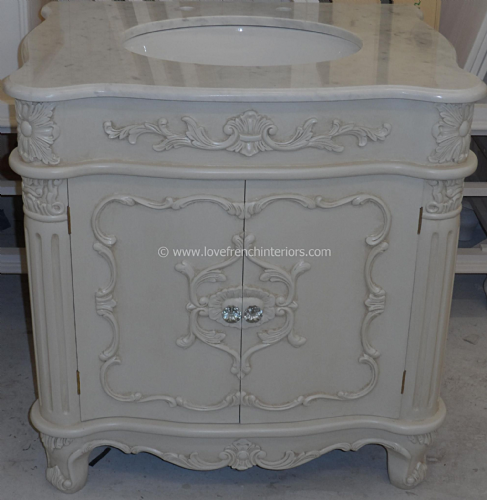 Shown here is the single bowl vanity which causes the top drawer to become a dummy drawer. This can also be made to a wider size and have two bowls - one over each cupboard - thereby making all the drawers functional. We also supply two premium quality bowls of a practical size. Please note that we do not supply taps and waste connections. This allows you to choose the taps of your choice and then let us know when ordering if you require one or two holes in the marble for your taps. 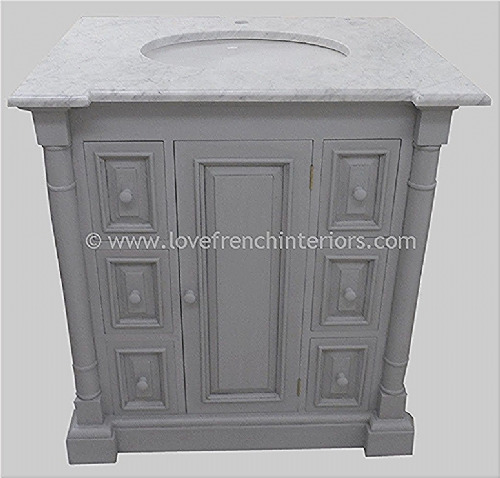 We also do not supply marble tops greater than 160cm in length but these can be sourced from any UK supplier who all offer large selections of colours and patterns. 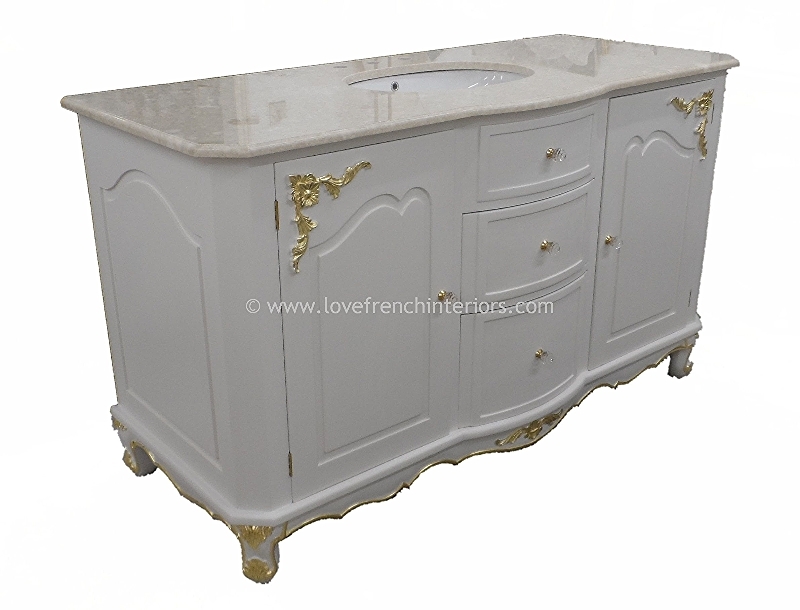 This vanity is only made to order and average lead times are around 12-14 weeks. 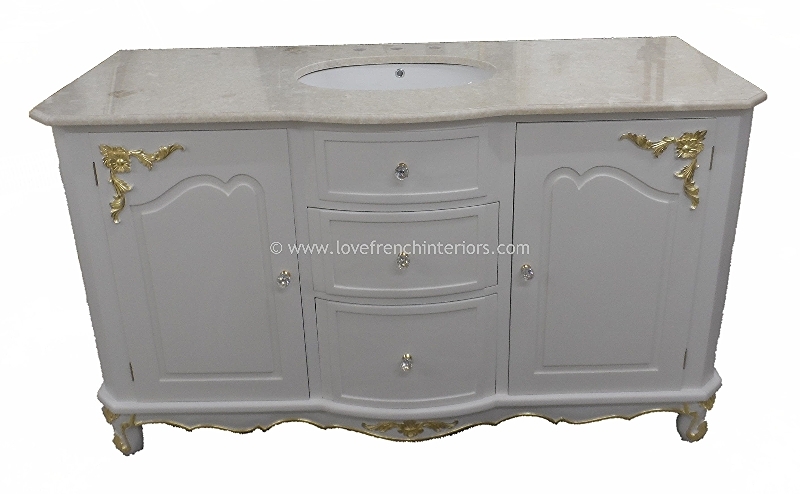 It is fully customisable - different dimensions are possible, with or without a marble top, with or without mirrors etc. 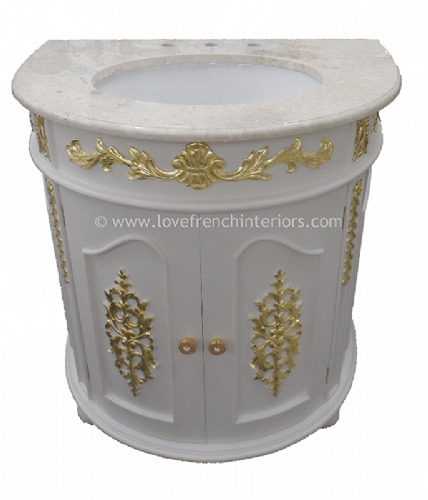 - Available as a wooden base unit with or without bowls, with or without mirrors, with or without a marble top. Dimensions in cm: W152 x H86 x D65. Fully customisable - please ask for prices if you require other dimensions.